please check in . Ive left you some questions re your sim request. so please answer promptly so i can get creating. Thank you for claiming my request! Q3= when you say tatoo's what and where ? I will get to work now creating your sim . one more question , Are you sure you want the sim in sim form? 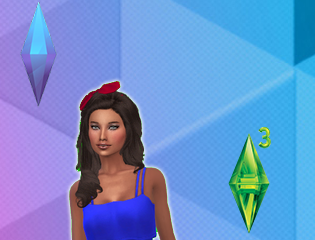 this may seem sillie but Ive had requesters in the past that said sim but really wanted the sim in household form. Um I guess I am not sure what the difference is but since she is going to include traits household form is fine. Thank you so much Cal. I like her. sorry but due to you not checking in or communicating. Ive now told the DNA sec to place your request on hold. hello yes Im taking on your request for a res lot for sims4 in the victorian style. Jenny thank you for popping in . as i posted on your message board Ive already got started and i will have a picture for you shortly. So your a charmed fan. I used to enjoy watching it too. I cannot wait! Yes; I do like Charmed. I own all 8 seasons. There are many shows that I like that I would love to have a build in my game from but the Halliwell Manor was the only one I could find a good floor plan for an example. I hope you have a great New Year! Wow theres 8 seasons ive only seen 4 or 5. Im gonna have to hunt out and watch the rest of them. A little update for you. As EA didnt include Landscaping or basement in the sims4 base game .Im unable to make your request a perfect match. I will keep going and hopefully you will still enjoy the house. I understand about the landscaping and basement. I did take that into consideration when requesting this home. I figure that this build would need tweaking to be TS4 buildable. Yep there are a total of 8 seasons. Amazon has them. I do not know if Netflix has them. Yes Netflix as the whole box set. so ive been watching and its helping me get the interiors right. I am glad to hear that Netflix has the series. Since I own it on dvd I have not checked to see if they had it. Being able to actually see the show and see inside the house is probably way better than just looking at the floor plan. I hope that you are having a great week! I will be putting it into my game next time I open it up. Thank you so much for building this for me! happy fun play and remeber simming people are happy people. Now Ive left you a few questions which i need answering before I can get creating your sims4 sim request.